We improve the software constantly, including the latest trends and feedback from the best professionals in the sector, our users. Any comments or suggestions? Please, let us know. When sending the confirmation/cacellation email > New option "send me a copy"
When confirming an online booking, if the client does not exist > Quick addition of the client and his animals. 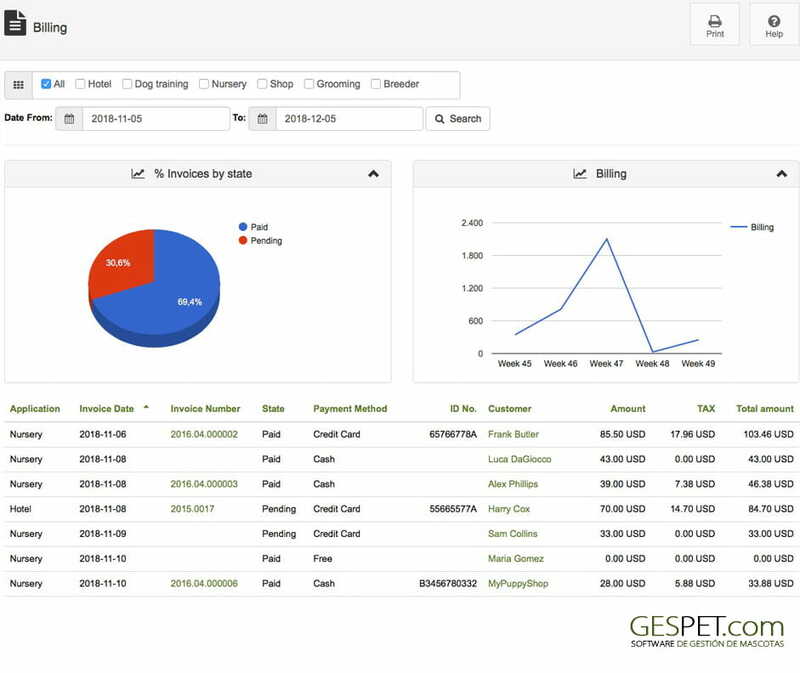 App Hotel: Improvement of the report "Booking forecast"
App Hotel: Improvement of the report "Billing forecast"
At the time of receiving the payment notification, faster creation of the account, for istant online delivery, no waiting. All apps: When you add a new client, the software checks if the email address or the id are already in the database and shows a warning, to avoid duplicate clients. 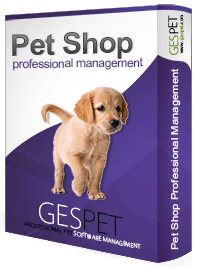 App pet Shop: When you add a new product, the software checks if the code or reference is already in the database and displays a warning, to avoid duplicate products. All apps: In fast search engines, increase the number of results and combined searches. 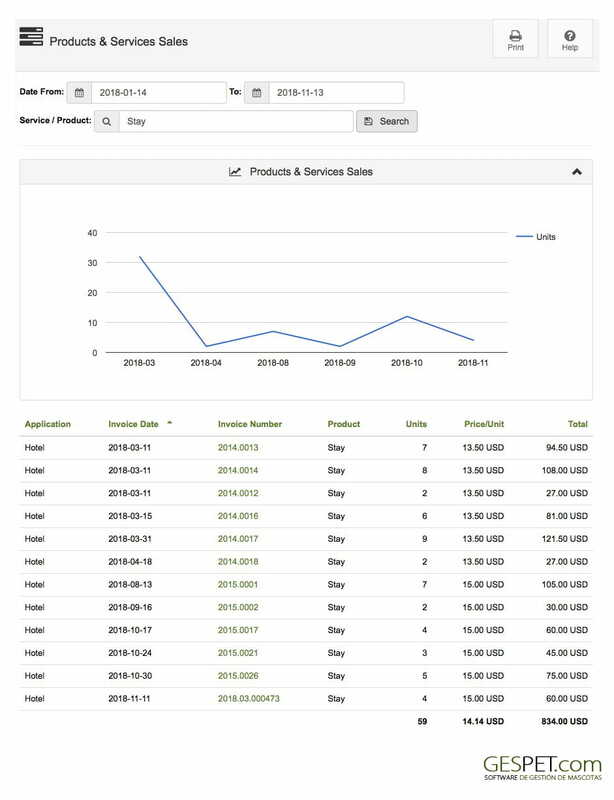 All apps: In the Supplier's Magic Desk, check if you have invoices pending payment and show an alert with the invovice detail and a link to each invoice. All apps: In the Customer's Magic Desk > Alert of pending invoices, now includes a link to each unpaid invoice. 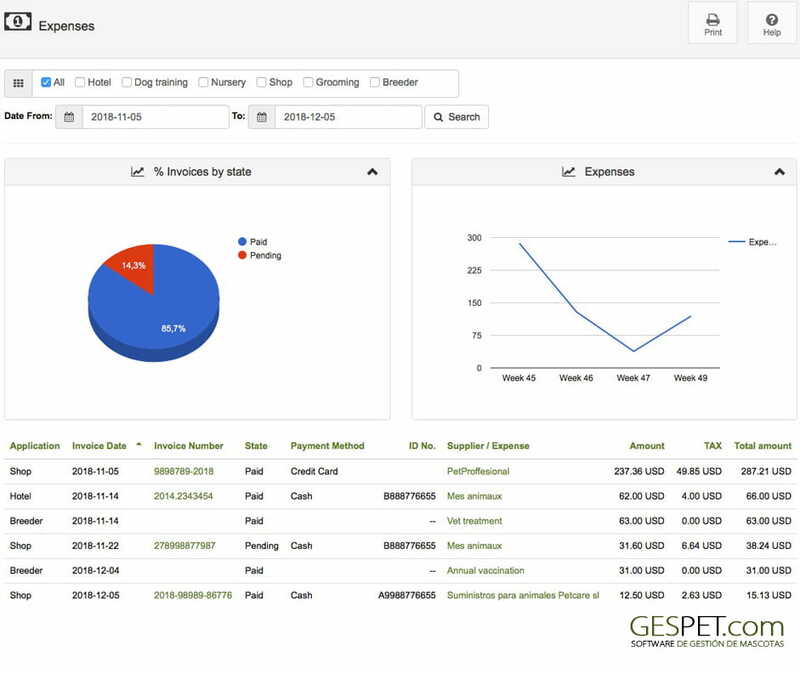 All apps: Now the Pending invoice report also allows filtering by date range. App Pet Shop: New report "Returns"
Now it also shows the percentage of growth of the turnover with respect to the previous year. It shows you an estimate of the booking for this year, based on the booking already made and pending booking. 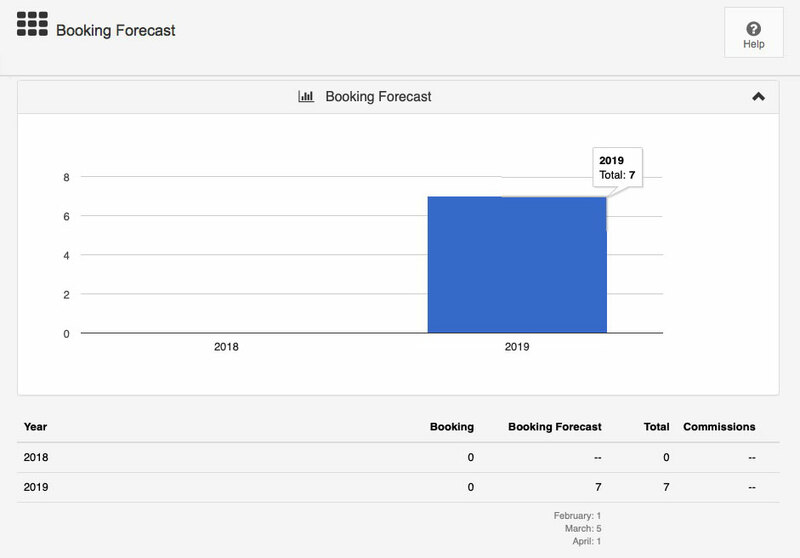 Now also shows the percentage of growth of the booking with respect to the previous year. 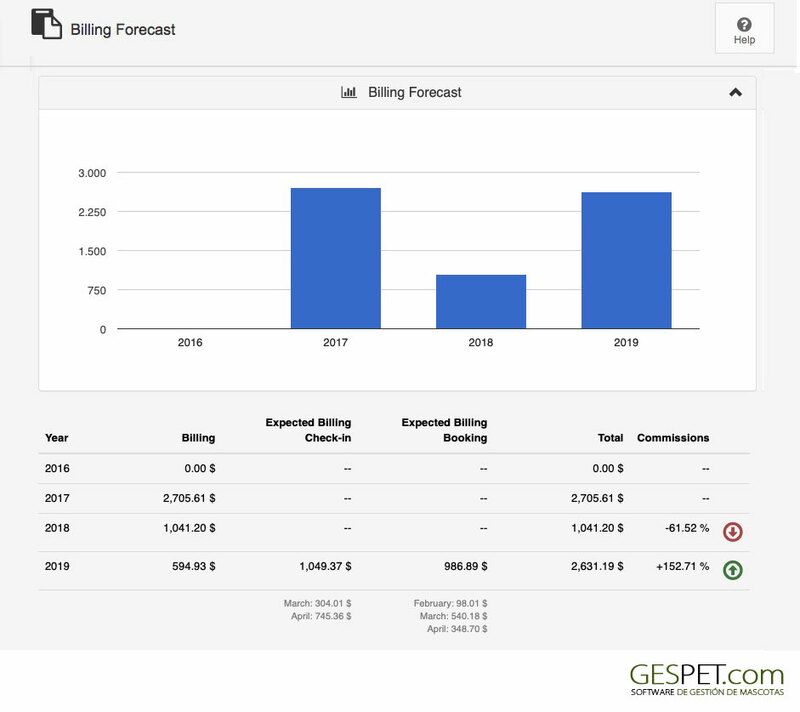 App Pet grooming: New report "Services and Billing by employee"
Mergin reports "Billing by employee" and "Services by employee"
All apps: Export options more secure and now these options are located in the Settings menu. 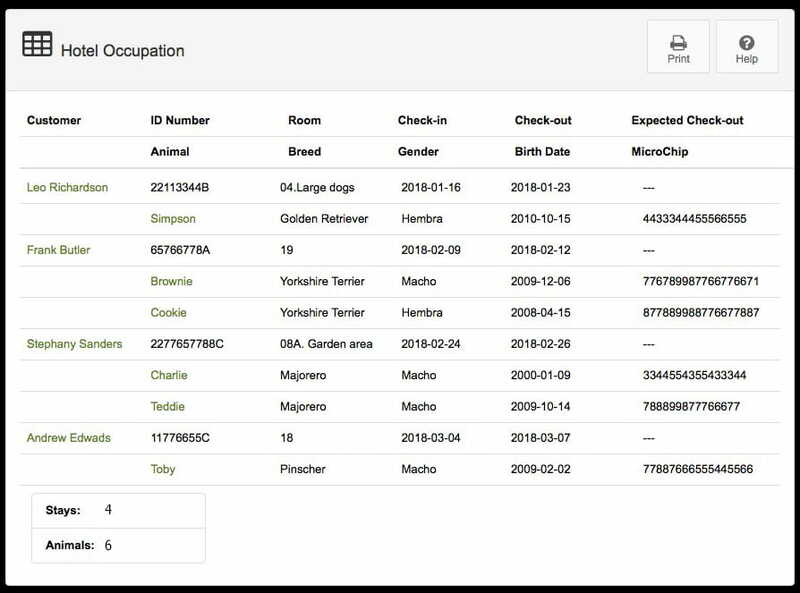 App Nursery: Improved "Occupation report". 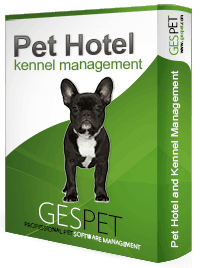 Now includes more information and quick access to the customer / animal Magic Desk. 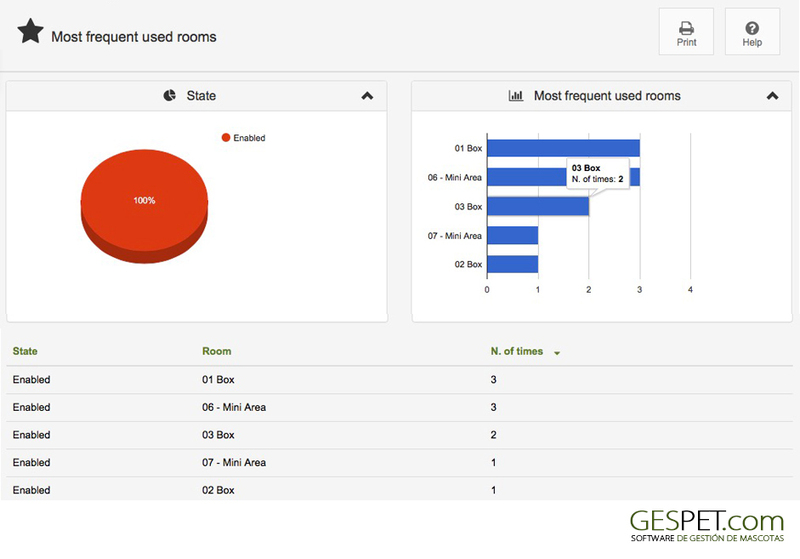 App Hotel: Improved "Occupation report". Now includes more information and quick access to the customer / animal Magic Desk. All apps: Auto detection of potential problems in the browser: The software automatically alerts you if you are using an older version of the browser. All apps - Improvement of the customer's magic desk. Last purchase of products / services and time that has elapsed since that day. New fields of interesting information and quick access buttons. New features for quick data editing and fields with auto-completion. New Finder in the Alert option. App pet shop: Options of adding faster. Import of products from another app, database, Excel. 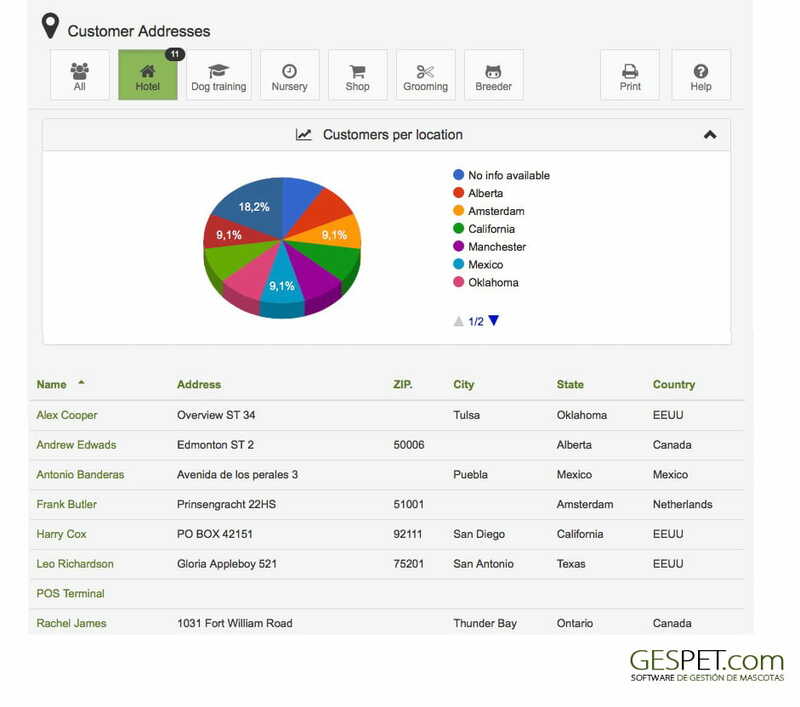 All apps: Import of customers from another app, database, Excel. 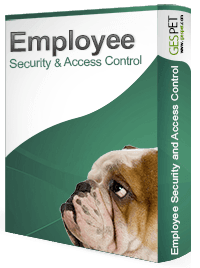 All apps: Import of employees from another app, database, Excel. 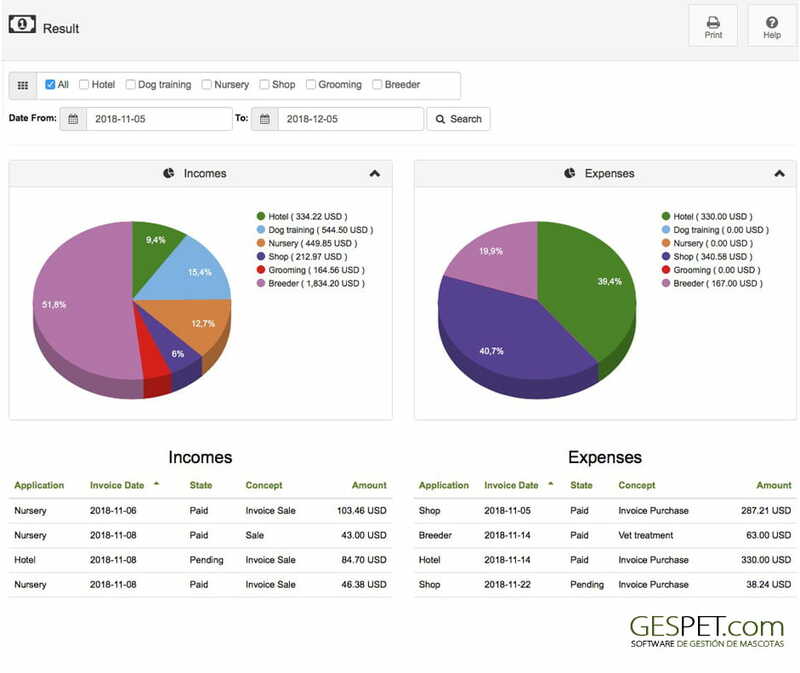 All apps: Import of suppliers from another app, database, Excel. All apps: Import of veerinary from another app, database, Excel. 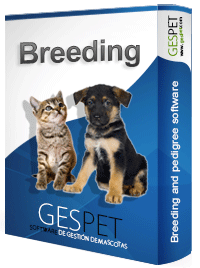 App Breedings: Import of breeders from another app, database, Excel. App Hotel: be able to customize your privacy / legal policy URL, so when the user requests an online booking, he can read your policies accepting them. App Grooming: be able to customize your privacy / legal policy URL, so when the user requests an online appointment, he can read your policies accepting them. App Nursery: be able to customize your privacy / legal policy URL, so when the user requests an online booking, he can read your policies accepting them. App pet grooming: On the home page (Magic Desk) > Appointments - More information about the animal. Now it also includes breed and species. App hotel: On the home page (Magic Desk) > Booking, check-in and check out planned - More information about the animal. Now it also includes breed and species. App trainint: On the home page (Magic Desk) > services - More information about the animal. Now it also includes breed and species. App nursery: On the home page (Magic Desk) > Booking, check-in and check out planned - More information about the animal. Now it also includes breed and species. 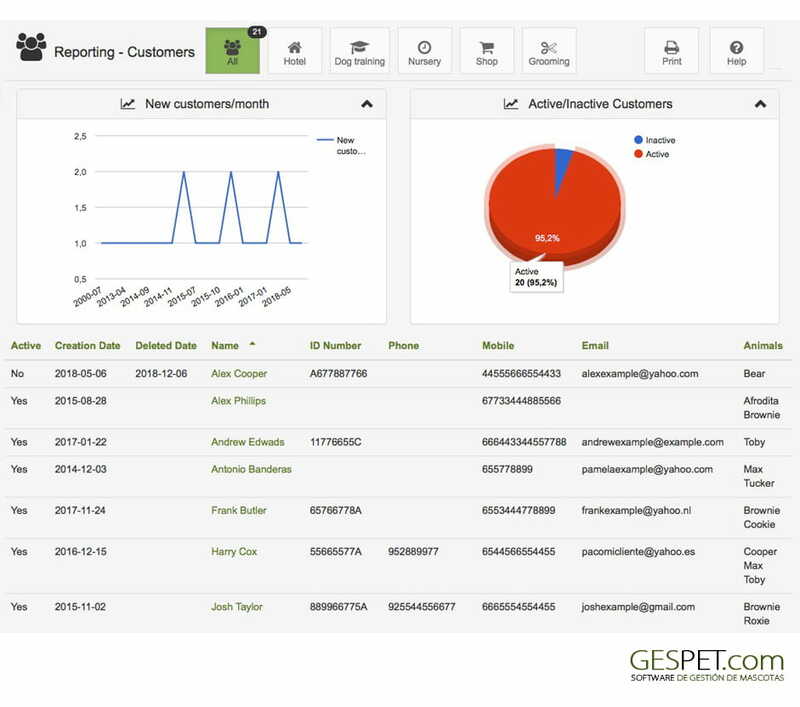 Tutorial "Mailing - Sending emails to multiple users at the same time"
App Pet shop tutorial "How to order the products: categories and subcategories? " App Pet shop tutorial "How to use the scanner or barcode reader ?" Tutorial "How to make the most of the Pet Hotel software"
Tutorial "How to make the most of the Pet Grooming software"
Tutorial "How to make the most of the Pet day-care and pet nursery software"
Tutorial "How to make the most of the Pet training software"
Tutorial "How to make the most of the Dog breeding software"
Tutorial "How to make the most of the Pet Shop software"
Design beautiful emails easily and do mailing campaigns (send emails to all your customers) using Mailchimp. For example, you can notify all your customers an interesting promotion, the new prices of your business, a change in your legal conditions, or any type of notification; Easy and quick. App Hotel: When a client makes an online booking, you will receive a notification by email with all information. 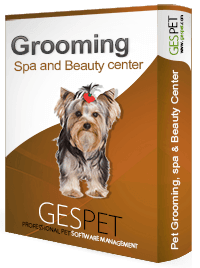 App pet grooming: When a client makes an online booking, you will receive a notification by email with all information. App Nursery: When a client makes an online booking, you will receive a notification by email with all information. App Pet Shop: In the PetStore app it is possible to add to the ticket breeders and puppies to sell. Selection for a business area (only in Hotel, for example) or for all the areas. Selection for a business area (only in Grooming, for example) or for all the areas. Last sale of that product / service and time that has elapsed since that day. Most frecuent customers Report. The report will be removed and its content will be included in the Most profitable customer report. Most frecuent animals Report. The report will be removed and its content will be included in the Most profitable animals report. Bestseller products and services Report. The report will be removed and its content will be included in the Most profitable products and services report. All apps: Direct link on the home page to Whatsapp Web , the official WhatsApp tool to be able to use it on other devices. All apps: Browser Validation used by the user to offer additional information and alternatives for better visualization and performance. All apps: Unification of payment methods to improve compatibility between apps. App Hotel: Magic Desk (Home page) - Percentage of occupation, free and occupied rooms for a selected date in the calendar. 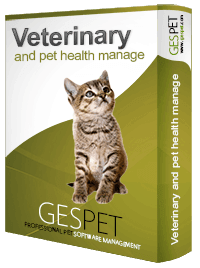 All apps: In list of animals and magic desk of animal> added the fields Variety and Spayed. App Hotel: Online booking system also available for: Facebook, Wordpress y Blogger. 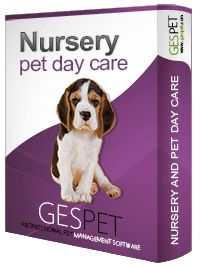 App Nursery: Online booking system also available for: Facebook, Wordpress y Blogger. App Grooming: Online booking system also available for: Facebook, Wordpress y Blogger. June 2017 - Implementation of the Hyper Text Transfer Protocol Secure (HTTPS) in the Apps. New Magic Desk whith contact information, payment information and important information. New interesting information fields and quick access buttons. New data editing and auto-complete fields. New Magic Desk whith contact information and important information. All apps: Improved Whatsapp option: now it is possible to send whatsapp also from computers and tablets. All Apps: Printable summary sheet with CUSTOMER information and contact info. App Dog breeding: Improvement of the option "booking" with the possibility of including booking without associating the litter or puppy. App Dog breeding: Improvement of the View > Booking To quickly change status and associate/disassociate booking. 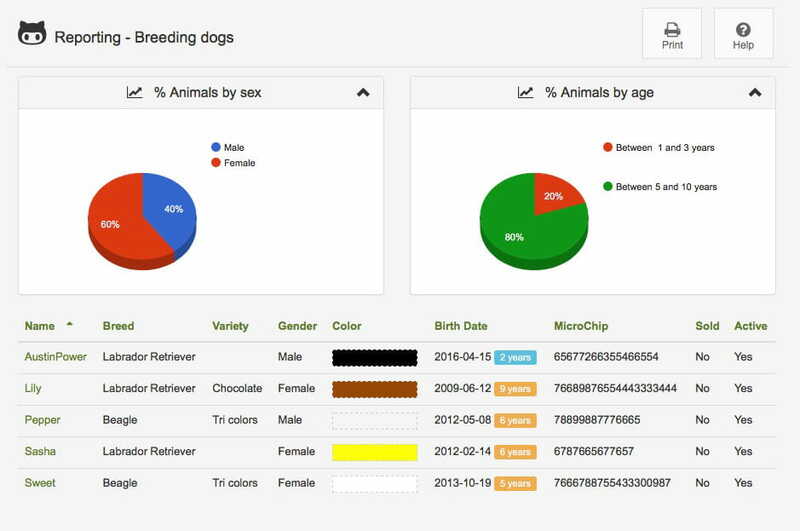 App Dog breeding: Possibility to record payments booking (or deposits) for unborn puppies. Returns and changes after birth of the puppy. 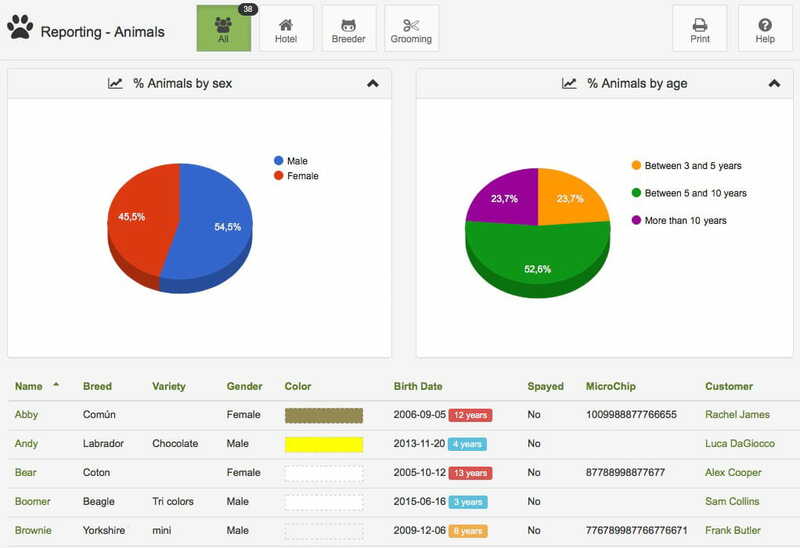 App Dog breeding: Improvement of Magic Desk and new data editing and auto-complete fields. 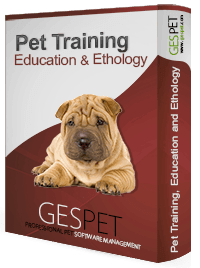 App Dog Breeding: Specific manual for use of new improvements: planned litters, booking of puppies and deposits. App Dog breedings: Improved report "Breeding animals"
App Hotel: Improved report "Billing estimation"
App Pet training: Improved report "Animals"
App Hotel: Improved report "Booking estimation"
App Pet grooming: Improved report "Animals"
App Hotel: Improved report "Animals"
App Pet nursery: Improved report "Animals"
App Hotel: new report "Bestsellers services" and "Most profitable services"
App Pet grooming: new report "Billing by employee"
App Pet nursery: new report "Bestsellers services" and "Most profitable services"
App Hotel: User requests: Add the microchip in the report of occupation (to support also the format of "Online booking registration"). Also added the breed and gender info. Possibility to send queries, report errors and consult the help without leaving the application. Advanced screen capture and attachment attachment options. Advanced Search for breed. And start typing the name of the breed is automatically AutoComplete. In this way avoids typing errors. Send queries, report errors and get help without leaving the application. Advanced screen capture and sending attachments. Website: Creation of the section "New Features and upcoming releases".